Behold the power of Sundance. Or the Duplass brothers. Or “Animals” itself. HBO has ordered the Duplass-produced Sundance entry to series with a two-season commitment. Though the network does dabble in animated comedy, it’s only released two in the last 15 years — “The Ricky Gervais Show” and “The Life & Times of Tim” — and neither lasted longer than three seasons. “Animals” premiered at the Sundance Film Festival this past January, generating good word-of-mouth from a screening of two episodes and Q&A immediately after. 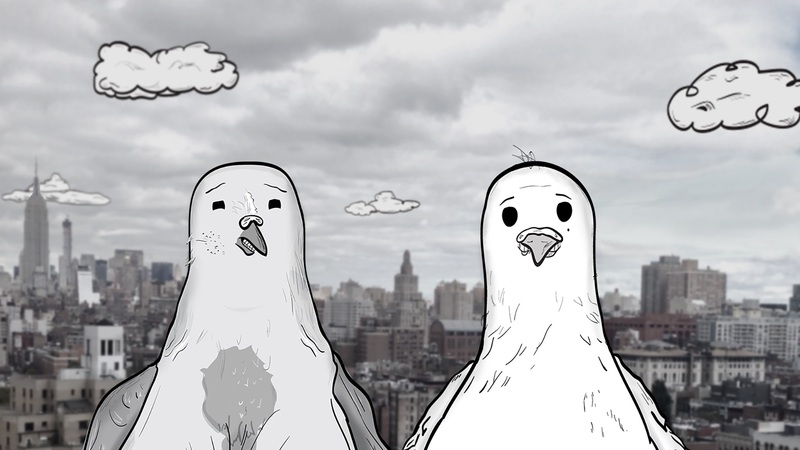 Matarese and Luciano’s half-hour comedy features different animals living in New York City, personifies their problems and presents each with a stark, grey color palette with voices from an exceptional cast. The animated program was born from a short titled “Pigeons,” which grew a fan base at festivals like SXSW, the Palm Springs International Short Festival and the New York Television Festival — where it won the comedy prize. “Animals” is one of the first major examples of a film festival helping a television series find distribution via the typical festival route for indie films. Though many deals are made at various festival markets regarding TV shows, “Animals” was given a screening all its own at Sundance and earned its distribution deal after, if not because of it. Many other TV series screened at festivals already have distribution, but that could change with the success of “Animals” (and the upcoming debut of a TV section at the Toronto International Film Festival, among others).